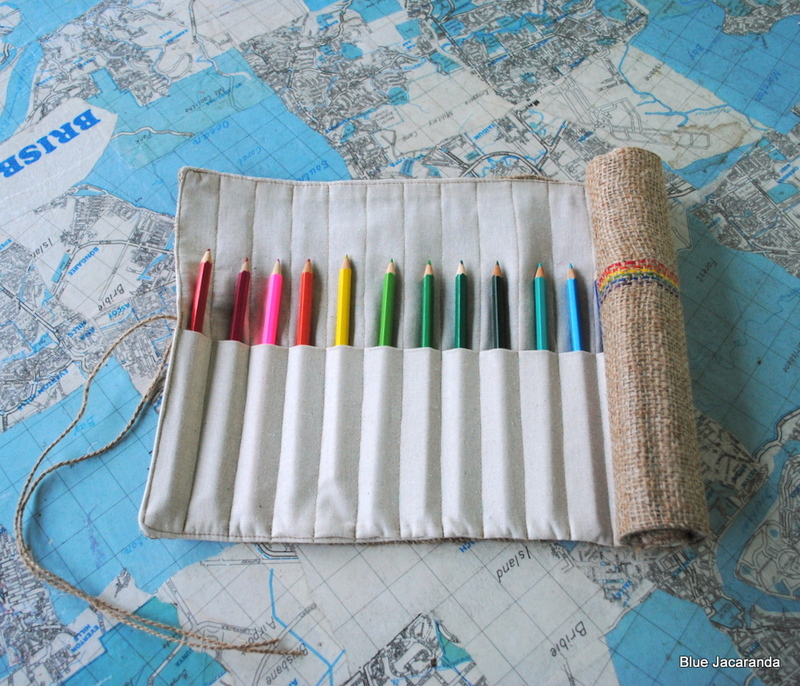 I sent a pencil roll to the UK to be photographed. 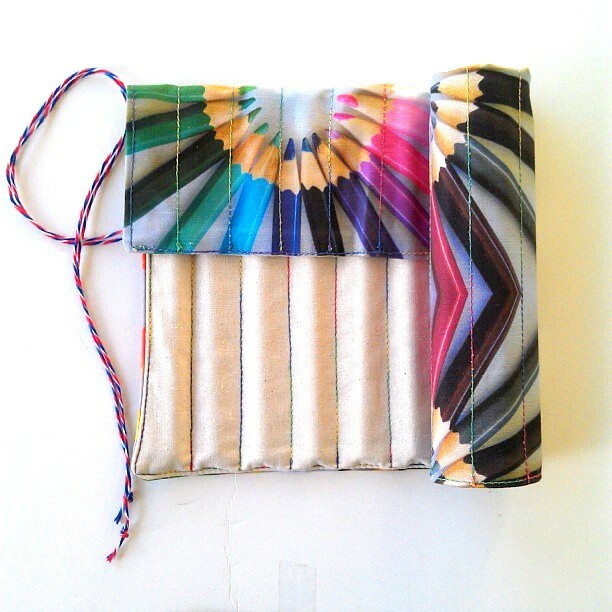 Doesn’t it look gorgeous! 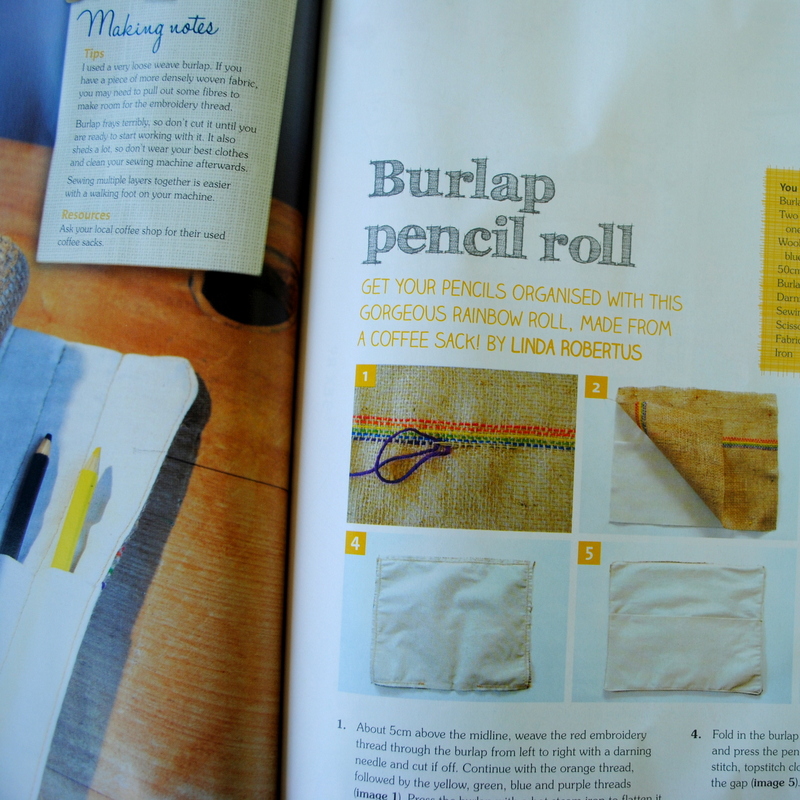 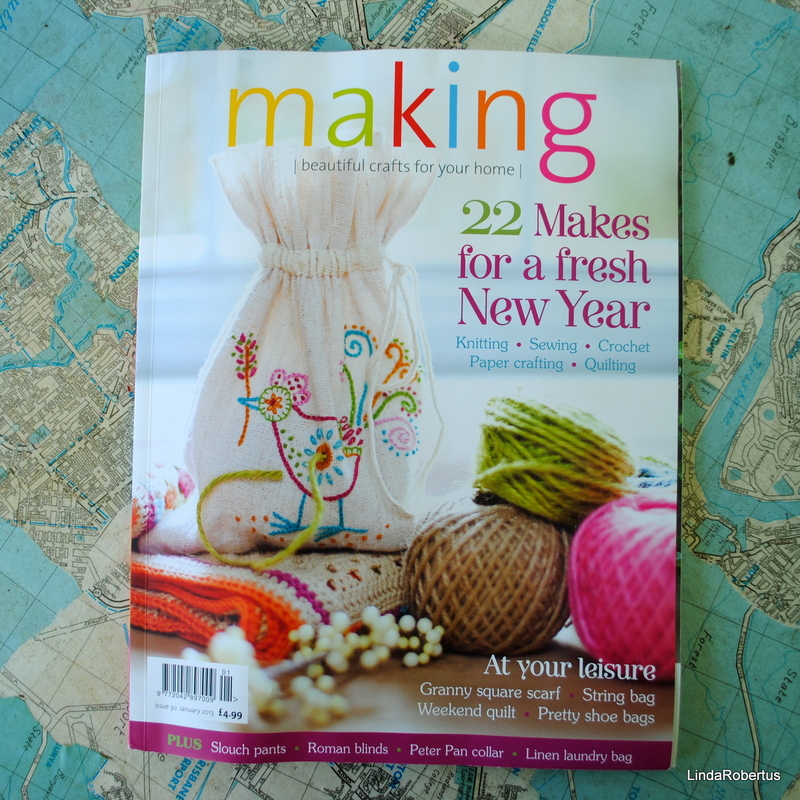 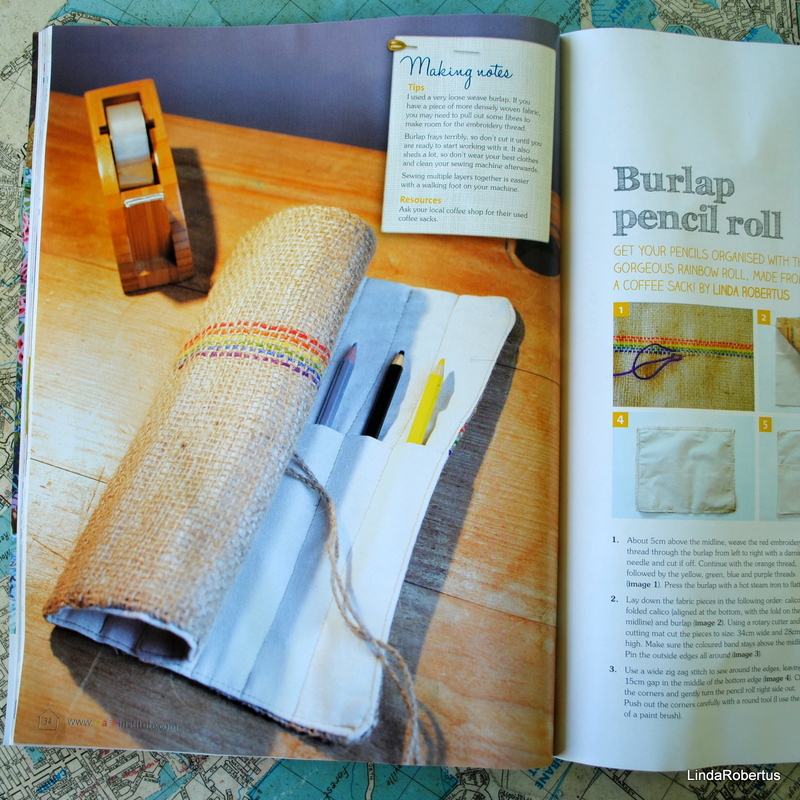 This entry was posted in Making Magazine, Upcycling and tagged burlap, making magazine, pencil roll on January 29, 2013 by bluejacarandadesign. 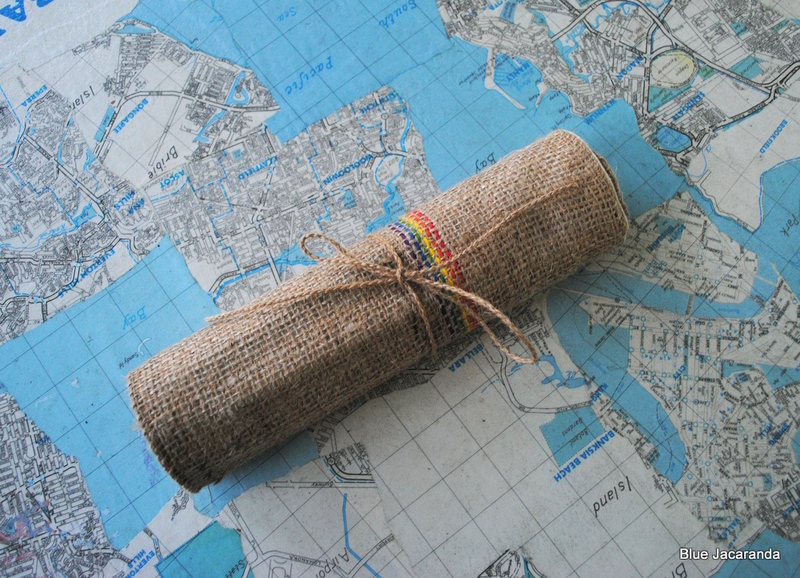 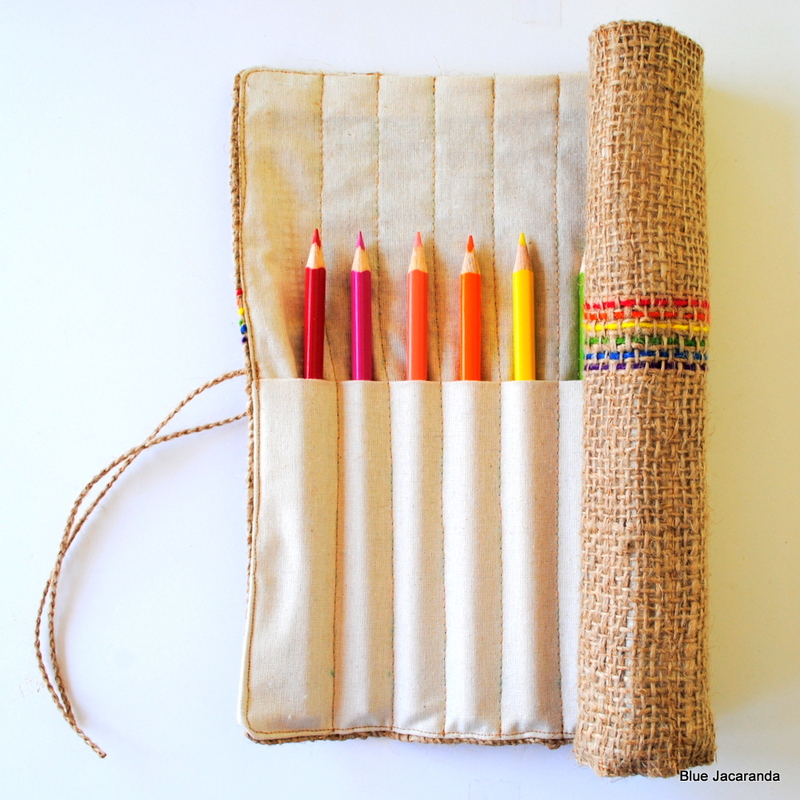 This week a customer asked if I could make a Burlap Pencil Roll for her that could hold 20 pencils instead of 12. 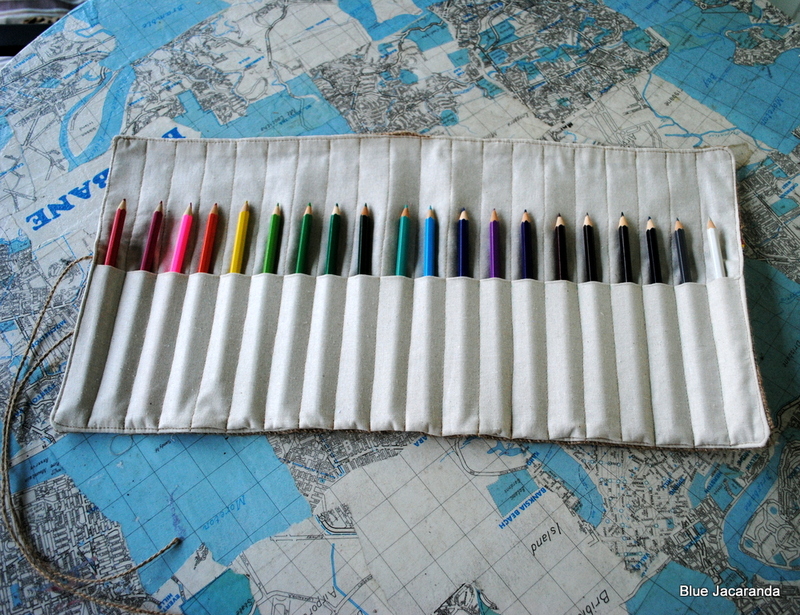 The largest one I had made so far was for 16 pencils, but four more wasn’t a problem! 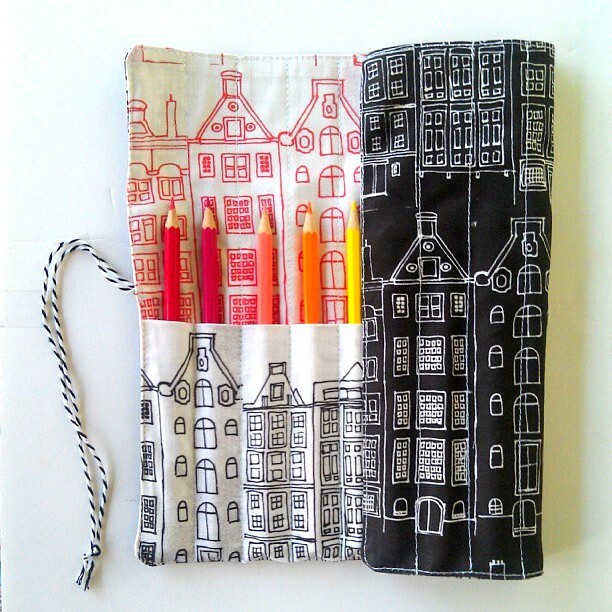 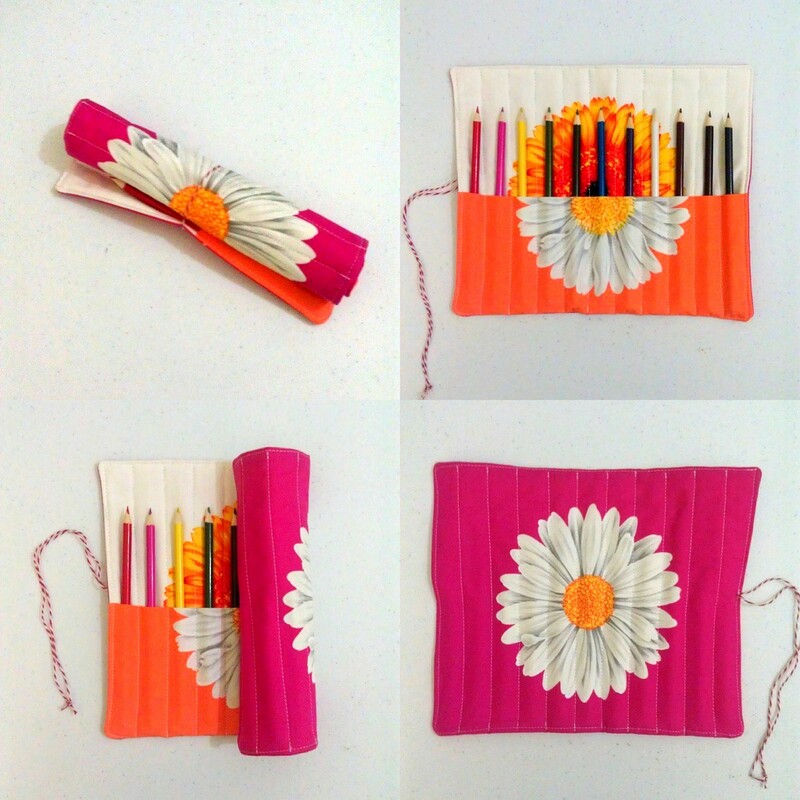 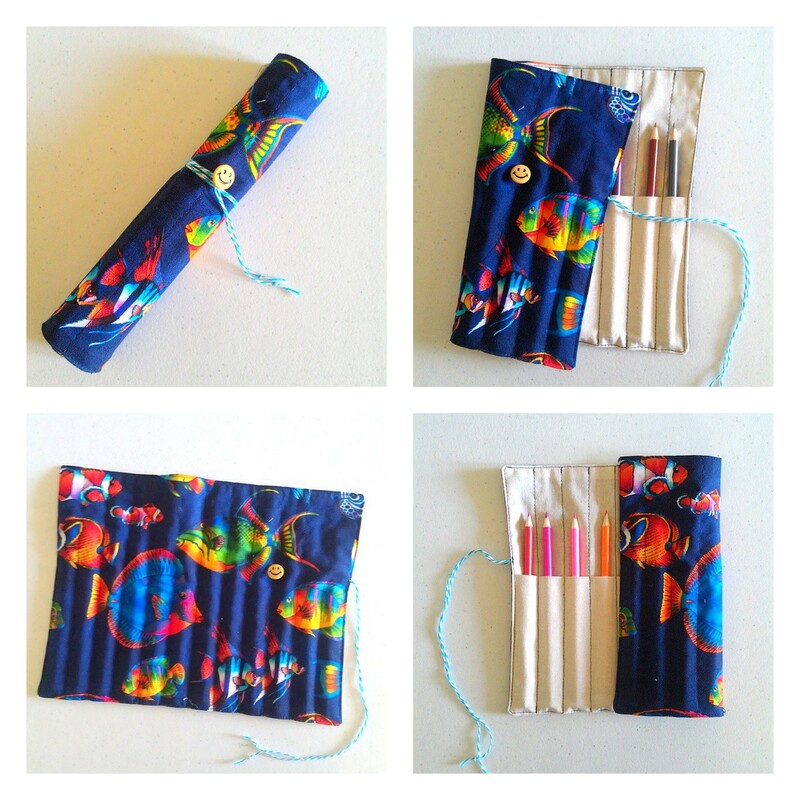 If you would like to order a roll that can hold a different number of pencils (or thicker pencils, or pockets for a sharpener and a rubber, or would like to see it threaded in different colours), please convo me on Etsy or send an email to info@lindarobertus.com. 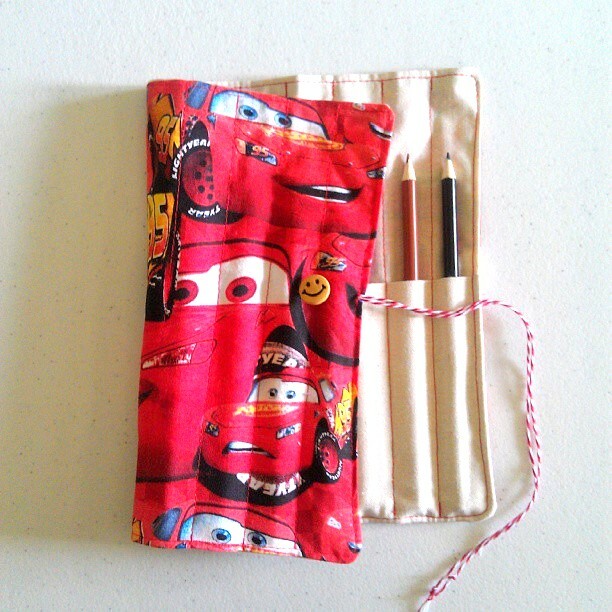 I love doing custom orders and will be happy to work with you! 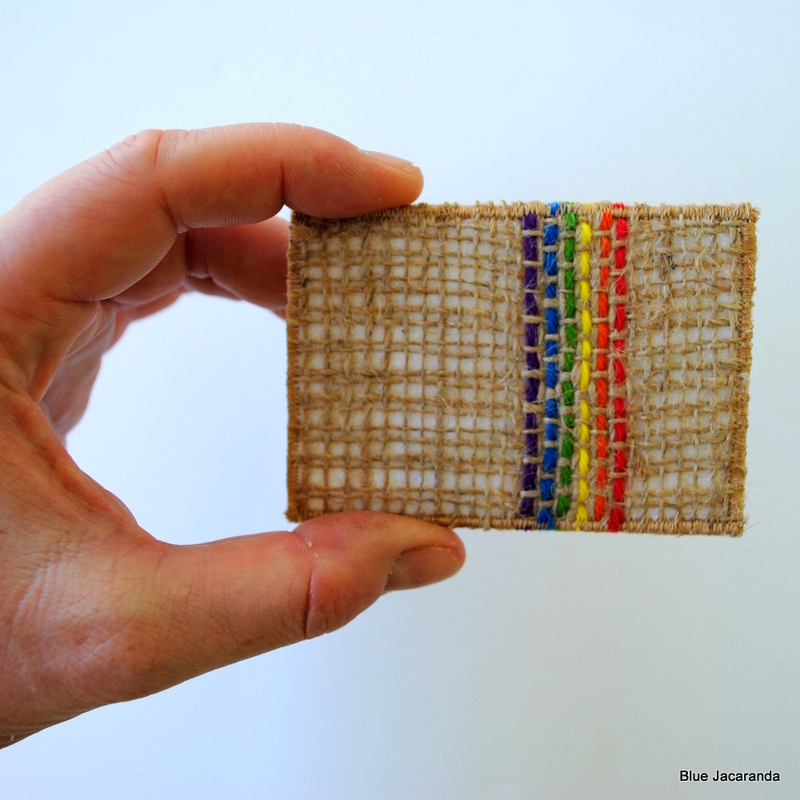 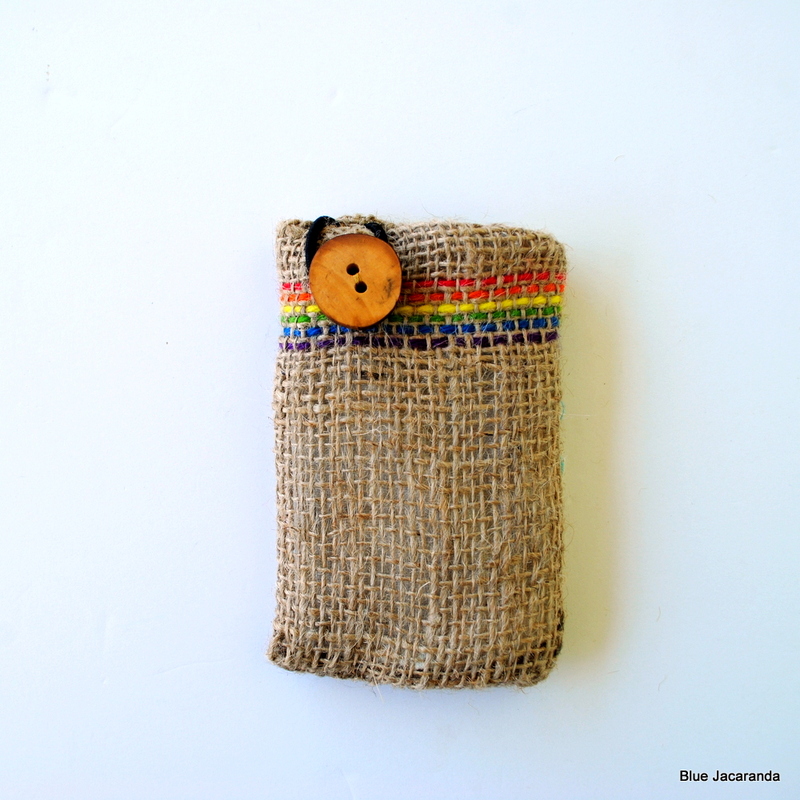 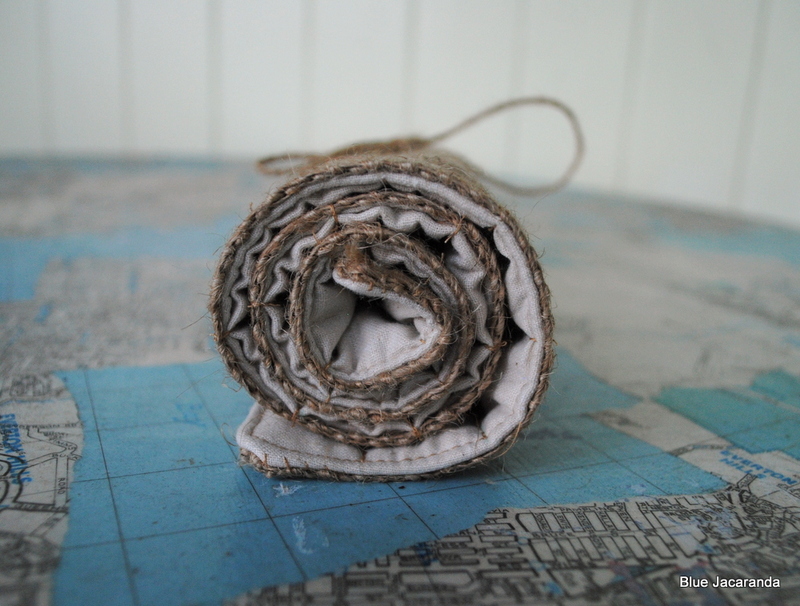 This entry was posted in Upcycling and tagged burlap, pencil roll on January 24, 2013 by bluejacarandadesign.